Thanks to you all for the delicious and healthy dishes for the event CWF - LB : Chickpeas. I received a total of 80 entries from 37 participants. Sonal sent me the maximum number of entries(6). The next top contributors were Jaleela, Priya Suresh and Shama (5 entries each). Many sent more than one entry. My special thanks for the extra effort you took. Thanks Kiran for this opportunity. If I left your entries. I'l immediately add it. 3. Krishnaveni's Sundal Kuzhambu, is a curry for roti and rice. 4. Jaleela's traditional Tamarind Rice with a twist. Please check the event announcement for Vegetable Marathon - Bitter Gourd. wow..so many dishes.thnx for hosting the event. now i hve many options. 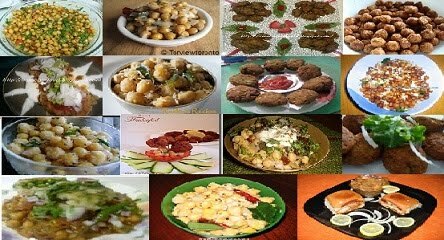 lovely round up n recipes dear Nithu !! Great work !! Nice collections.... Super! Thank you for all these recipes. huge collection...so many to bookmark..
Great job Nithu, marvellous roundup! wow nithu..lovely round up with so many wonderful dishes ! Great job by you Nithu. great round up Nithu..have you got my entry..!? @Jagruti, Let me know, If I acknowledged your entry. I couldn't find your entry mail in my inbox. Plz. do send the link as well. I'l add it now.